1. Spilling the Beans – All real estate agents work for the seller. Their job is to try to obtain for the seller the best possible price and terms for the seller’s property. They are REQUIRED to give the seller any information about the buyer (personal, financial or confidential) that would help the seller in the sale of his or her property. The remedy is to work with a Buyer’s Agent, who owes all allegiance to their buyers! They guide buyers through the entire process and work for their best interest at all times (by law!). Best yet, buyers do not pay a penny to their buyer’s agent…seller’s agents agree to compensate buyer’s agents and the amount is already documented in the Multiple Listing. 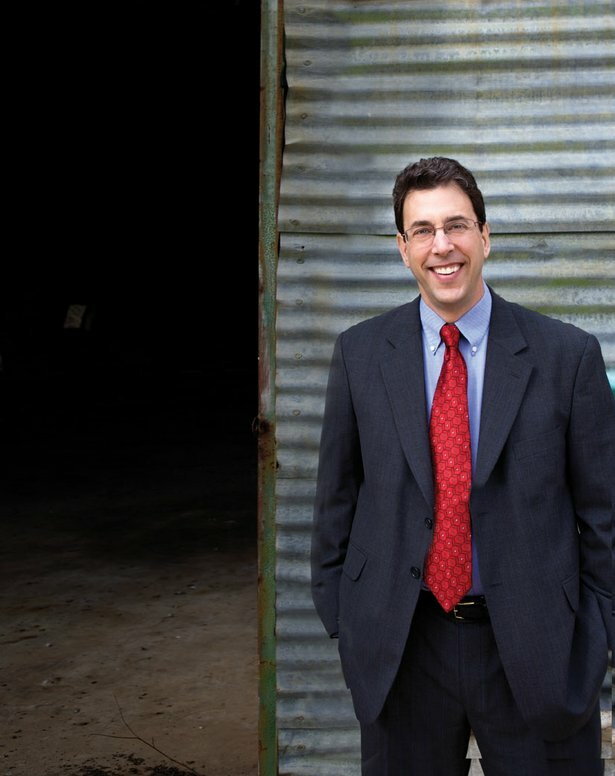 If a buyer does come unrepresented, the lucky seller’s agent pockets the profit. Don’t talk to any agent but YOURS! 2. Sabotaging the Mortgage – Before starting the home search, buyers should obtain their credit reports and correct any mistakes. (It is free at www.AnnualCreditReport.com) Mortgage applicants’ credit score affects the interest rate they will receive (The FTC reports one in five Americans has an error on his or her credit report). Once completing the loan application, do not make any changes to your financial situation. Make no big money moves or get large amounts of money from other people. 3. New construction pitfalls – Who do those nice agents in the Model Home work for? The builder, NOT you in any way. Don’t sign in, don’t open your mouth…go get your Buyer’s Agent! Builders have Buyer’s agent’s commissions already built into their marketing budget; you do not get credit for being unrepresented. What you see in the model is often not what the house is that you buy. They are full of upgrades which are used as after- market profit machines for the builders. White ceilings? Extra, electric garage door opener? Extra. Experienced Buyers Agents know what upgrades to ask about before you sign the contract, what upgrades the builder has given away to past clients, and know about special deals to ask for. For example, at the end of our price negotiations with a builder, I asked him about his parent company’s earlier promotion for $2000 off for police and public service workers. Both of my clients qualified for the promotion they received an additional $4000 off the price! 4. Buying too much house – Don’t get enamored by a house that is above your price range. Home buyers should create a budget before even beginning their home search to determine just how much house they can really afford. A good rule of thumb is to devote no more than a third of your monthly household income to housing costs, which include mortgage principal, interest, taxes, and insurance. 5. Picking a Bad Lender – 54% of loans in 2013 did not have lender “pull-through”. Meaning the lender was not able to get the buyer to the closing table on their loan. Can you imagine being days away from closing to learn the underwriters of your loan backed out?? The worst culprits are the large Mega Banks that many people trust. Instead, ask your Buyer’s Agent for lender names. Days On Market are down to 104 from 120. These metrics indicate that home prices are on the rise, at a steady rate. Factors which can affect this projection include how the new state budget affects the local economy, and our ability to still attract business to the area. One of the hardest parts about moving out of your old home and into your new home is packing. First, you have to sift through years of accumulated stuff, which, if you live with a pack rat, as many of us do, will be pain number one. After you argue over what to donate, sell, trash or keep, drink a bottle of wine and then make up, you are ready for pain number two….packing what is going to move with you. I would like to introduce you to a better way than the old cardboard box scenario. It is a product I recommend to my Real Estate clients and they have been very very happy with it. Bungobox is a company that delivers various sizes of stackable plastic boxes to your home. You load them up, transport them to the new home, and then they pick the empty boxes back up. It is an Earth friendly, less expensive, and more protective way to pack. The cost is approximately HALF the cost of the dreaded cardboard boxes. They are a franchise so, check on- line to see if you have a Bungobox in your city. The Wake County housing market is continuing to improve and continues to be one of the strongest markets in the United States. 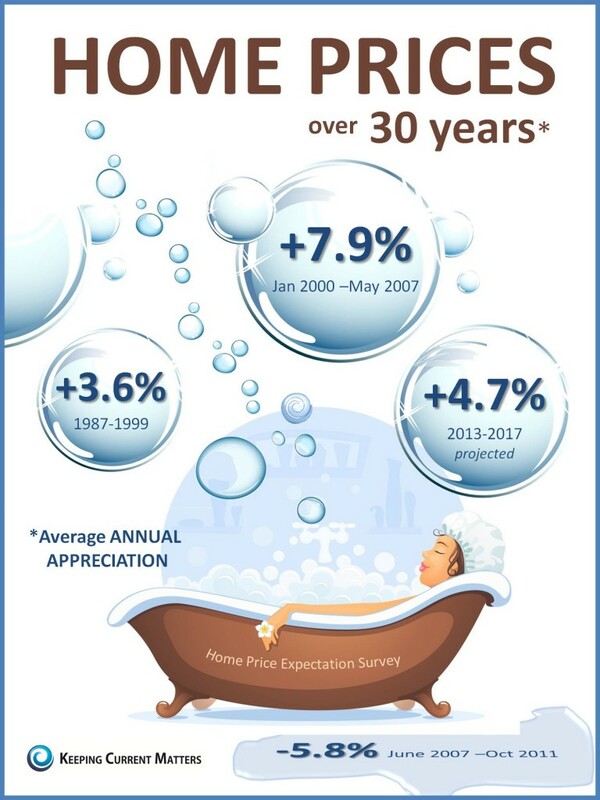 The Cary, Morrisville and Apex markets can boast 26% increase in showings over this time last year, closing are up 19% and homes on the market have decreased 23%. Very good news for the local housing market! People planning to buy new homes in Wake County can once again get a pretty fair shot at knowing which schools their children will be assigned to. Children will be assigned to base schools, given an option of Year Round Schools, and a list of Magnet Schools available for their address. There are some schools which are currently over-crowded (mainly in the Cary/ Morrisville area) and new residents normally assigned to those schools will be given a number of alternative schools to attend. The Magnet Schools web page shows which schools provide neighborhood transportation for your address, or provide “Express Busing” (Parents take children to a nearby location for bus pick-up) or S.O.L. busing (parents must drive their darlings to the school) pretend it is free private school! Joking aside, a number of our Magnet Schools are some of the highest rated schools in the country. Some parents are willing to spend premium dollars to buy Cary houses which feed into schools that have stellar academic records such as Panther Creek High and Green Hope High School. However, these schools are very very academically competitive.Unless you child is truly gifted, they will find it very hard to get a high class rank. On the other hand, if you child attends many of the other Wake County Schools, they may have a better chance at getting a higher class rank. In addition, I heard from my Dentist, who’s daughter attended Athens High and was accepted at UNC Chapel Hill this year, that the Admissions Dept at her new College told her that they prefer students from diverse schools such as Athens. Folks, these schools have the same AP courses, less competition to get into the courses, and a well rounded student body. In summary, almost all of the schools in Wake County will do a great job of educating little Johnny! Just something to think about when looking for a new home in the Cary/ Raleigh/ Apex areas. 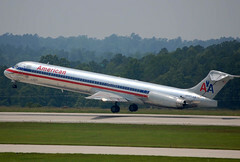 When purchasing a new home in Cary, Morrisville, and Raleigh NC, many people wonder if their potential home will have loud airplane noise from the RDU Airport nearby. This is very important to know before you make your purchase. In fact, if you are a For Sale By Owner, please note that like any seller, by law you must disclose if you are in the noise contour lines of RDU, in the NC Residential Property and Owners’ Association Disclosure Statement form. 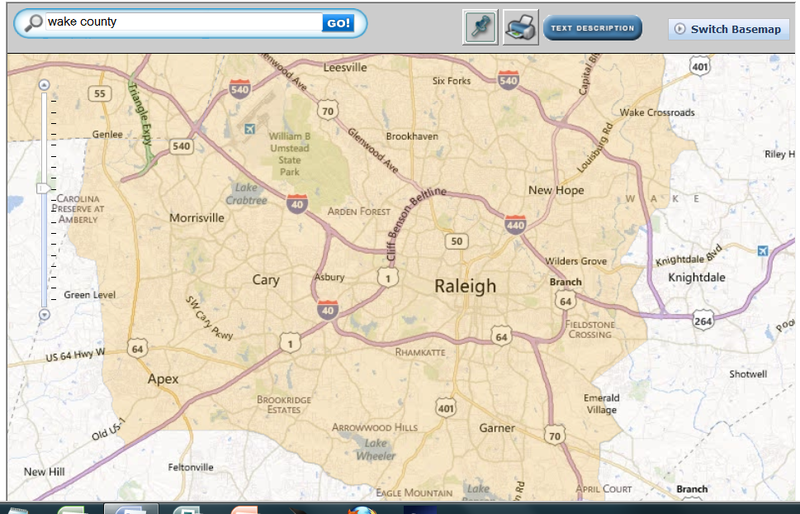 How do you see if a Wake County property is in the airplane noise contour map? Enter the property’s email address into the RDU website. Important: under the “Layers” list on the left of the page, UNSELECT all options except “NOISE CONTOURS”. Everyone has different opinions of acceptable air traffic noise levels. In Wake County, the majority of flights are at 6:00 – 7:00 AM and then at 4:00 – 6:00PM. So I always advise my clients to visit the property they are considering buying during those times! When people see my little name tag that reads, “Teresa Bowen, Broker / Realtor Keller Williams Cary NC”, many give me a look of sympathy and ask quietly, “how’s it going?” As any good agent should, I reply “GREAT!” But in truth, it IS great. 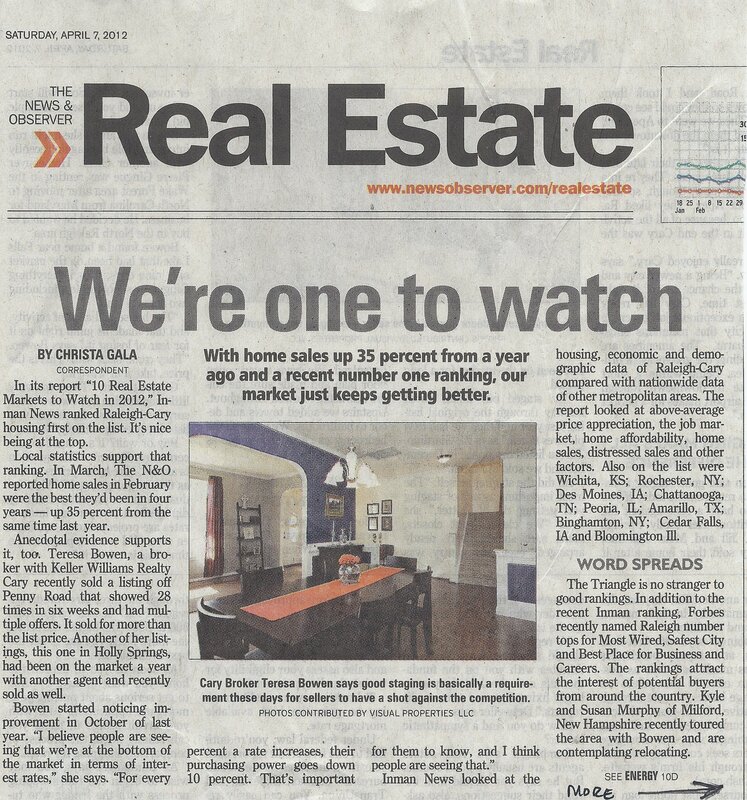 I was recently interviewed by Christa Gala of the News and Observer Newspaper to explain the current Raleigh area real estate market conditions and forecast. I was happy to report that home sales are up by 35% from this time last year, and inventory is down. Our foreclosure rate is only 9% which is enviable for the rest of the country. Cost of Home Ownership in Cary, Raleigh Area is Low! Many people moving to the Cary, Raleigh area do so for various reasons: our great school system, local Universities, low unemployment etc. 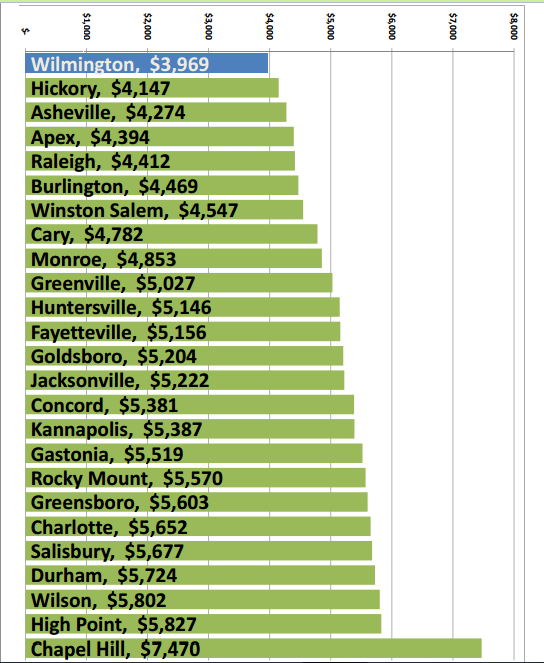 There is another great reason to move to Cary and Raleigh…the fees for basic services these cities provide is relatively low compared to other cities in North Carolina. 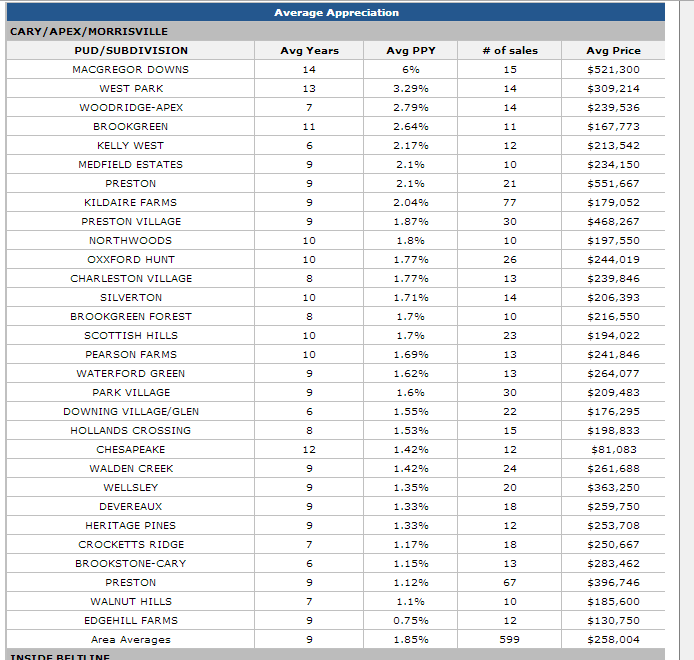 I can tell you that Cary has a bad rap for high taxes but it is quite unfounded. Below is a chart which shows that the costs of water/sewer fees and taxes combined put Apex and Raleigh are lower than 75% of the other NC cities; Cary is less expensive than more than half.